With fall undertones this piece can be a hit in late summer or even the springtime. 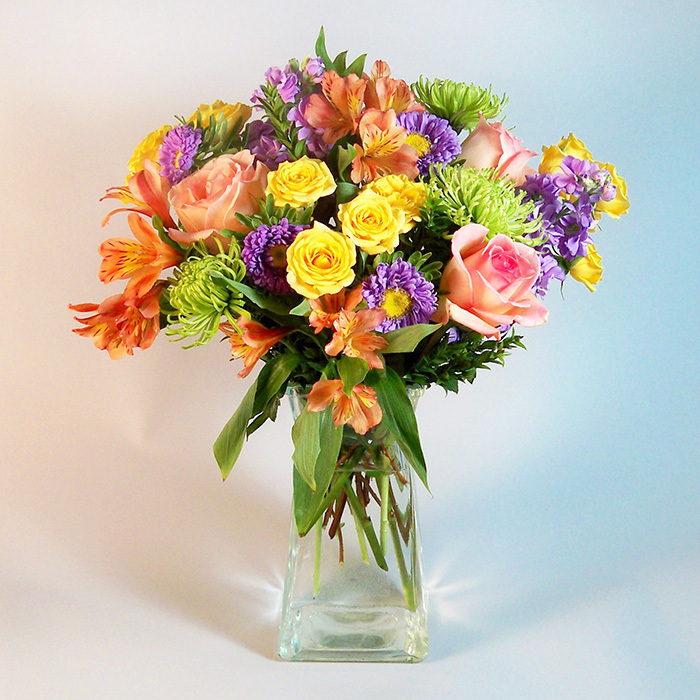 Peach roses, yellow spray roses, lavender asters, green fuji mums and peach alstro gather for a feast of color. Standing 18″ tall and 14″ wide the Peach Keen bouquet will look terrific in the kitchen or in any living space. A warm pick me up for your favorite person. Better: A few more touches of peach alstro and yellow spray roses. Best: Moving to a bigger wider vase will allow for additional peach roses and yellow spray roses.